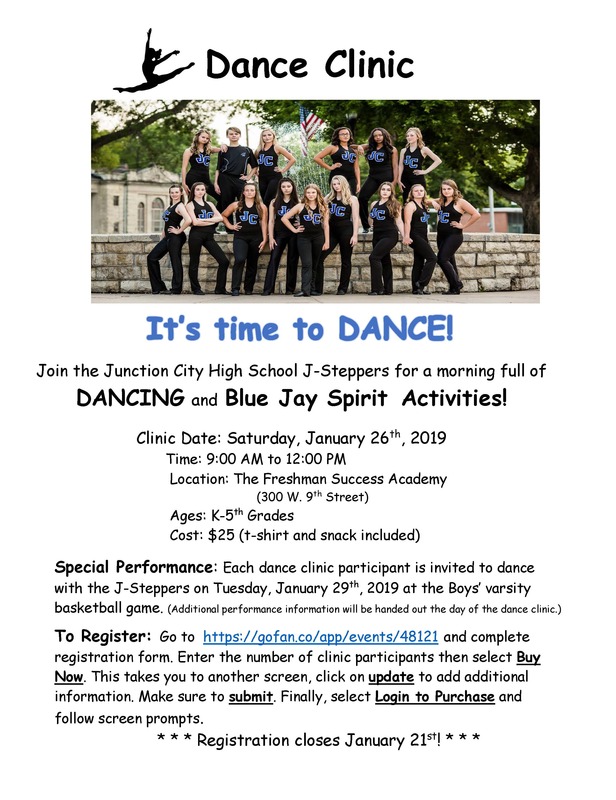 Join the JCHS J-Steppers for a morning full of dancing and Blue Jay Spirit Activities! Enter the number of clinic participants then select “Buy Now”. This takes you to another screen, click on “update” to add additional information. Make sure to “submit”. Finally, select “Login to Purchase” and follow the screen prompts. Registration closes January 21, 2019. **Each participant will be invited to dance with the J – Steppers on Tuesday, January 29, 0219 at the Boy’s varsity basketball game.